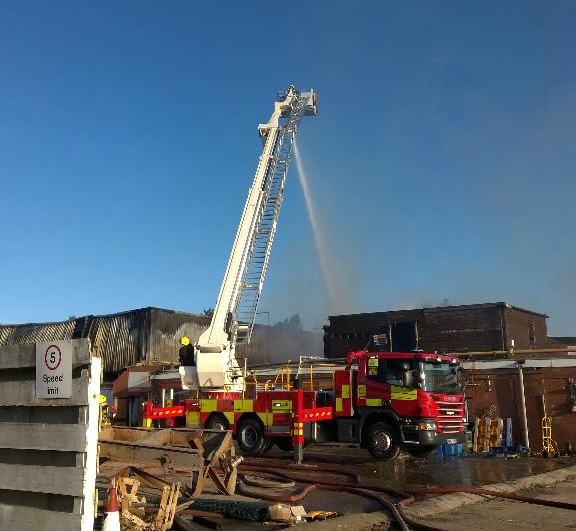 Nottingham Fire & Rescue Service have been tackling a blaze at a factory for much of the morning. Initially 6 crews were called to the small village of Bilsthorpe at around 2.30am. After almost 7 hours that was scaled back to 3 crews. It's believed to be the former Noble Foods factory on Kirklington Road and the whole building was engulfed in flames. It's an unused building. People living nearby have been told keep their windows and doors shut.